It was a late March evening as my wife and I sat in our basement. While we were still a year and a half out from our 10th wedding anniversary, we had just started to think about what we were going to do for it. We knew that we wanted to make it special, but the moment we booked our cruise the Bahamas, it didn’t occur to me that I would have to know what it was going to take to get a passport. 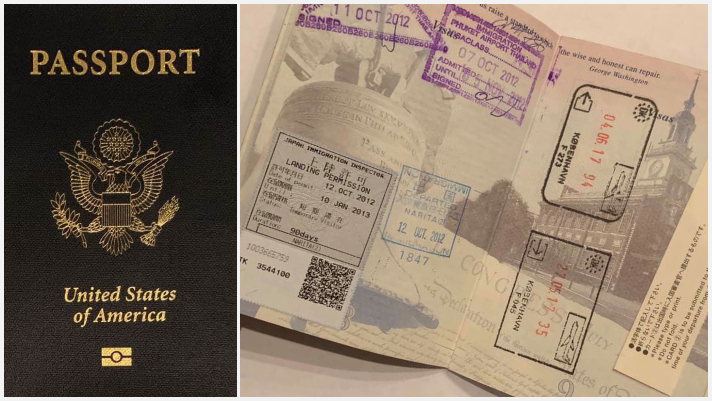 To be brutally honest, it occurred to me that as a 33-year-old, I had never even given a thought to what it would take for me to get a passport. Having a passport in my hands was not something that I had needed before making this decision for our second honeymoon. Having never been through the process of getting a passport before, I was on an island that I felt that the only way to get to get off was to obtain a passport on my own. It can be challenging to navigate your way through the process of applying for a passport and giving you the opportunity to take that vacation of your dreams. 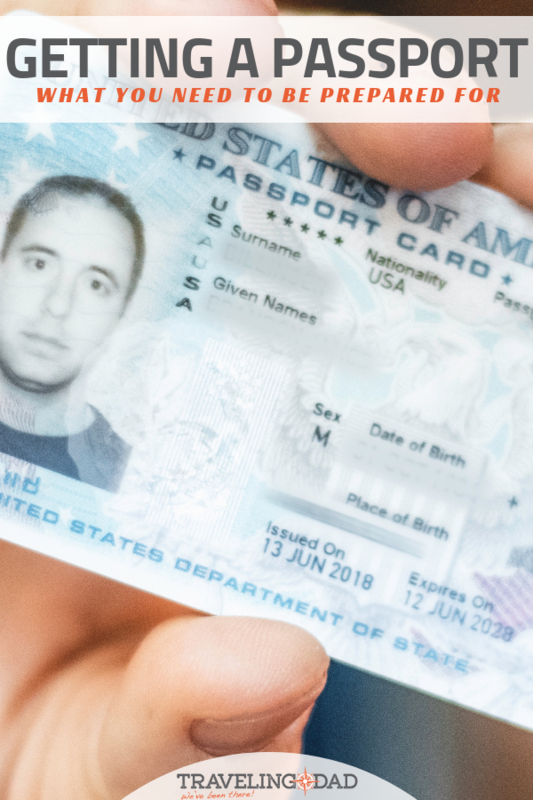 Download the Passport Documents From the U.S. Dept. of State. It might come as a surprise that when you are getting ready to travel abroad that you will not be able to enter back into the United States with just a state issued drivers license. That is not the case though, and the first step in the process of acquiring your US passport is to head over to the U.S. Department of State website to get the forms that you will need to fill out. The United States State Department makes it easy for you to make sure that you are printing out the right forms. (To take the questionnaire for the correct form click here). Passport Card or Passport Book? While you are filling out the forms that you have printed out, you will have to make a decision that will be based on the travel needs of your next trip and where you plan to travel for the next ten years until it is time for your passport renewal. There are going to be a multitude of things to look at that will play a role in the decision of a passport card or a passport book. The first is where do you plan to travel? 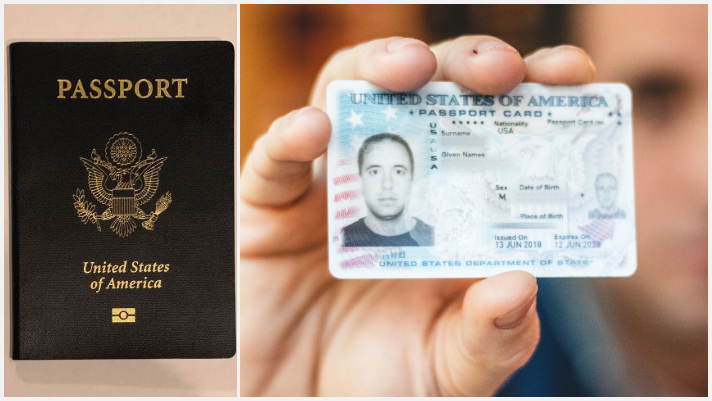 There are a slight few differences between the passport card and passport book. Knowing your travel plans are essential before submitting your application. 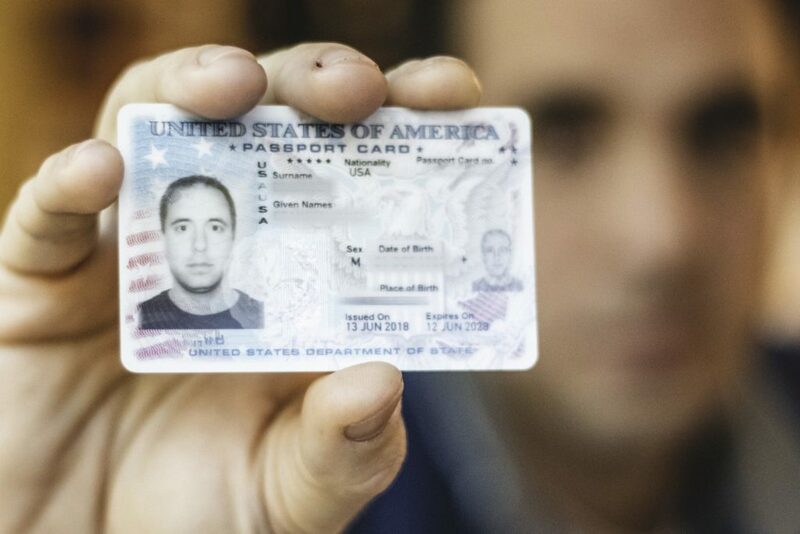 The Passport Card will be wallet size and can be used to enter the United States at any land or sea border crossing. This means that if you are traveling from Canada, Mexico, The Caribbean, and Bermuda the card will work. The passport card can not be used for international air travel. The price to apply for the Passport Card for anyone older than 16 is $65 and $30 to renew. If you are under 16 the cost to apply is $50. The Passport Book will be the passport that one is used to seeing. A book that will be stamped at the border crossing of the countries that you are entering. It will be able to be used to reenter the United States by air, sea, and land. How Much Does a Passport Cost? Is there a Passport Renewal Fee? To apply for a Passport Book the passport cost is $145 if you are 16 and older, $115 for under 16, and the passport renewal cost is $110. Entering the United States at any land or sea ports-of-entry ONLY. Where Can I Get Passport Photos? When you are walking into your nearest U.S. Postal Service office or FedEx Office, UPS Store, Walgreens, CVS, even Costco takes Passport Photos; these won’t be a glamour shot that you expect to have on your driver’s license. There will be strict rules that will you have to follow. Otherwise, you could end right back up at square one and need to retake your picture. The photo will have to be in color and taken within the last six months. Forget the Instagram filters and selfies, have someone else take the picture for you. Make sure your background is plain white or off-white, and you take your eyeglasses (or sunglasses) off. Make sure that you are facing the camera and you have a neutral expression or natural smile. To see all of the requirements check out the U.S. State Department Passport site. If you are taking Passport Photos for your kids, there are also guidelines that you will want to follow listed on their website as well. Where can I get a passport you ask? After your Passport photos have been taken, the next step is to hop onto the USPS website and schedule your time to meet with a postal worker who will then send off your paperwork to a State Department facility that will handle your application. Other documents: In-state, fully valid learner’s permit with photo, In-state, fully valid non-driver ID with photo, and temporary driver’s license with photo. Note: you may be asked to present an additional ID when presenting one of these 3 documents. ALWAYS check the State Department Website for the most up-to-date list of requirements for your appointment. You will also want to make sure that you have your checkbook handy to write a check to the State Department for your passport application. When I applied for my passport, I was not prepared for one of the hidden costs that came with applying at the USPS office. After the postal worker took my check, I thought I was done. She then took me over to the counter and then charged me another $35 processing fee for the USPS. Knowing this going in might factor into your decision to get the card or book. After you submit your application, it is a waiting game. If you are lucky like I was, it could be three weeks to get your passport card, but it could take up to 6 weeks. Plan accordingly for the wait times so that you are stuck without a passport when it comes time for your international travel. You can pay extra for an expedited passport that should guarantee 2-3 weeks processing time, but it’ll cost you an extra $60 as of the time of this article’s publishing. If you need it faster than that, check out this link. While it might have felt like a hassle going through the process of getting a passport, in the end it was worth it knowing that my wife and I would be able to take our honeymoon cruise without an issue when it came to embarking and disembarking from our cruise. Is Disney Dining an Allergy Friendly Experience?